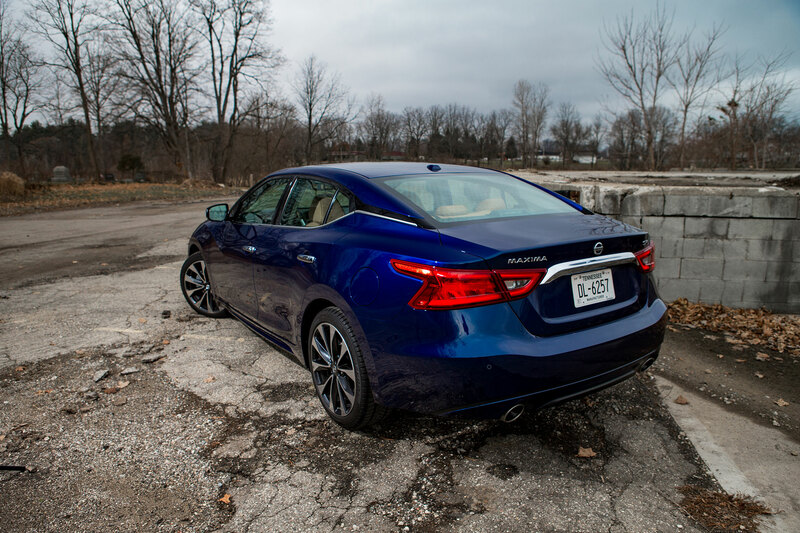 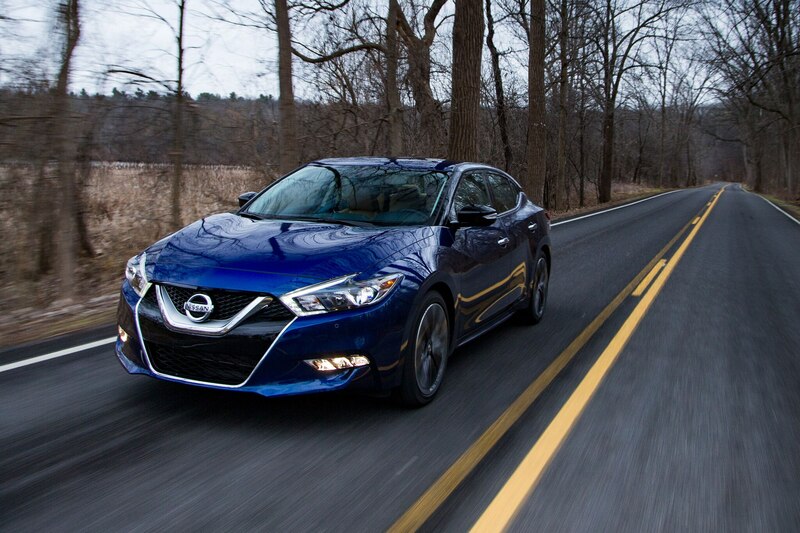 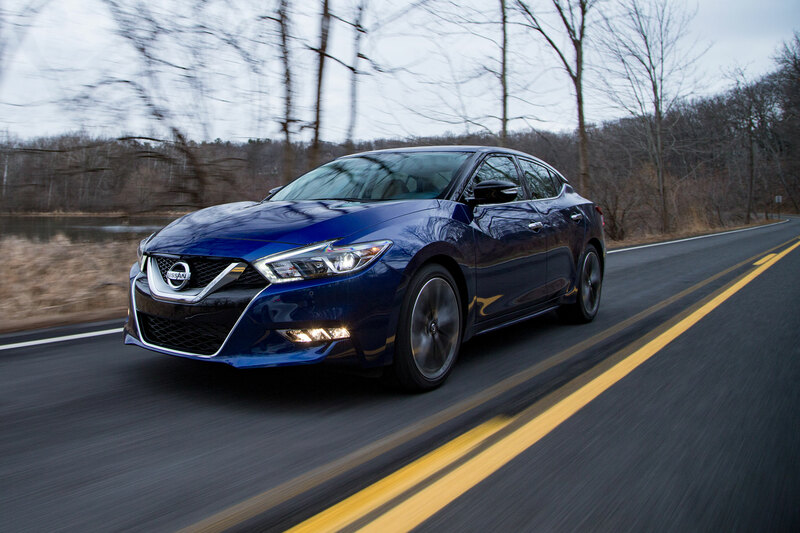 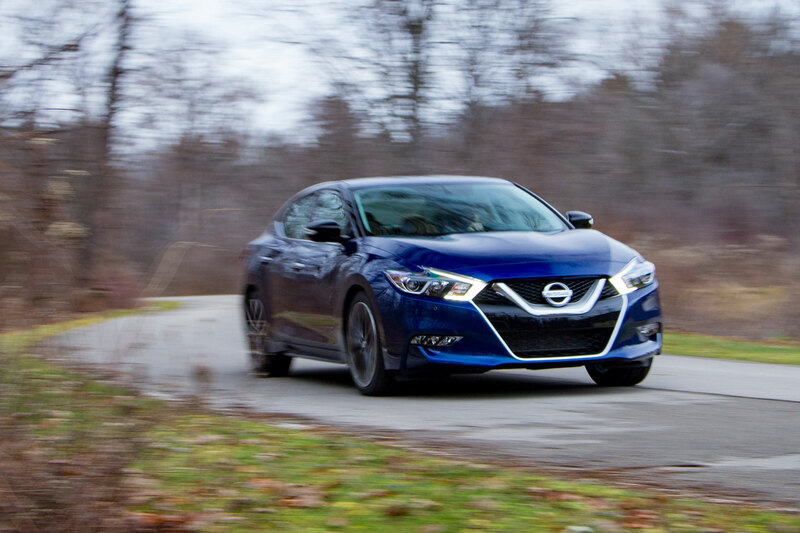 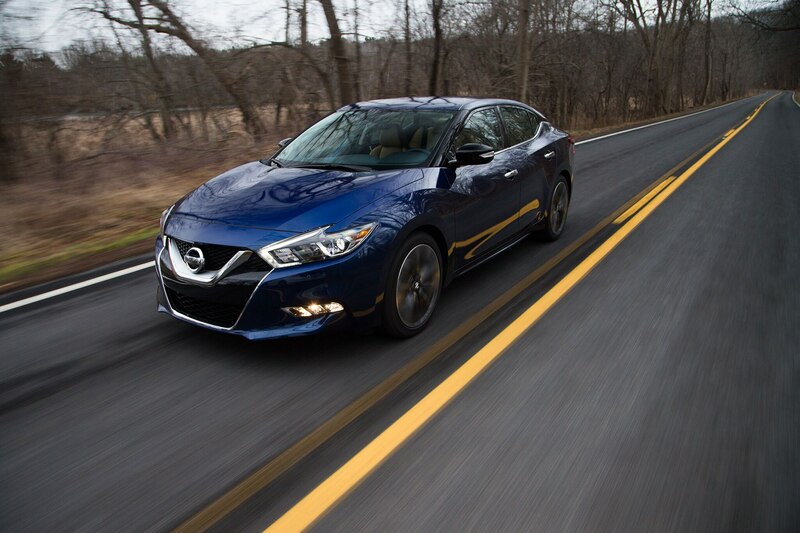 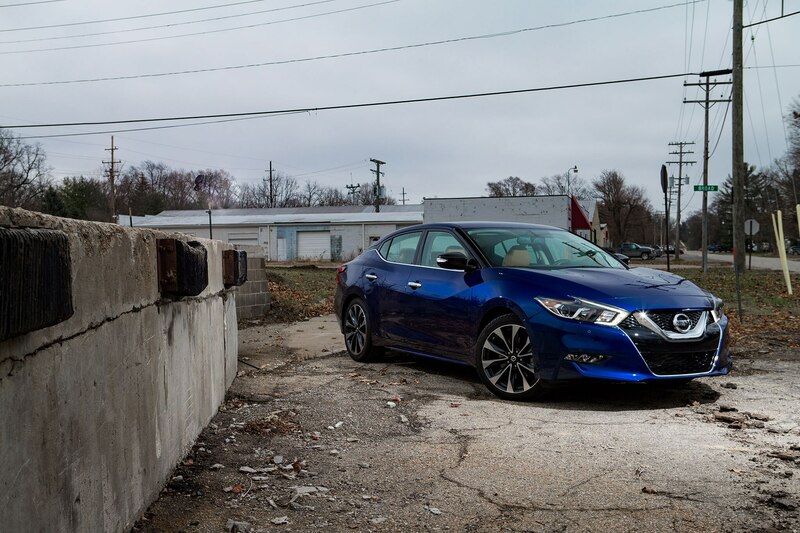 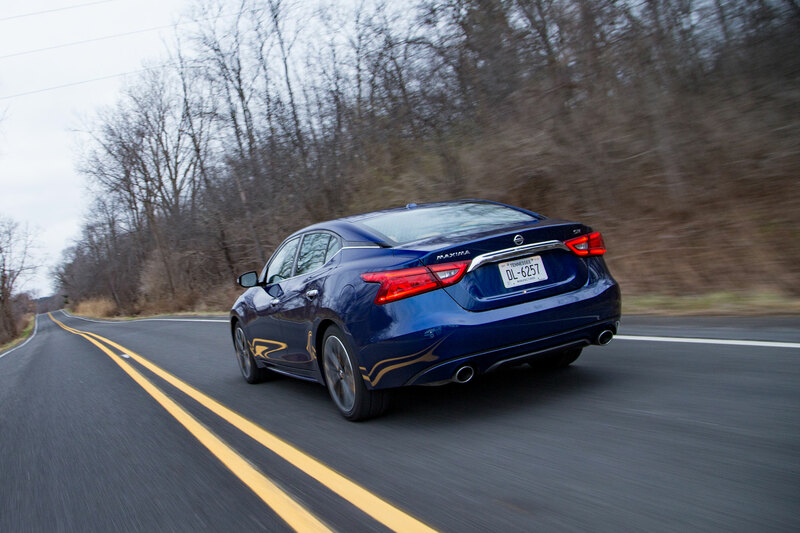 The Nissan Maxima has always been chasing after something. 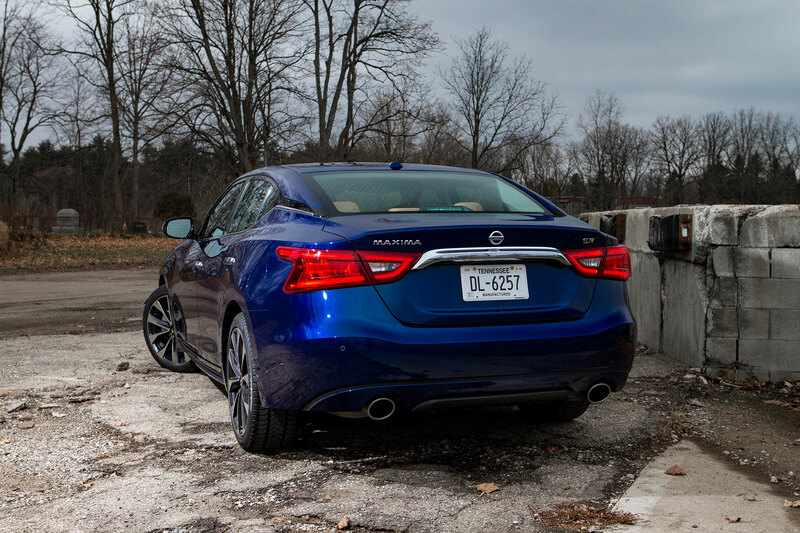 After starting out in 1981 chasing the Toyota Cressida as one of the first, large-size, rear-wheel-drive luxury sedans to arrive in the U.S. from Japan, the Maxima came closest to reaching its target in 1989 when the third-generation Maxima pulled off a surprisingly good impression of a BMW, only with front-wheel drive and a budget price. 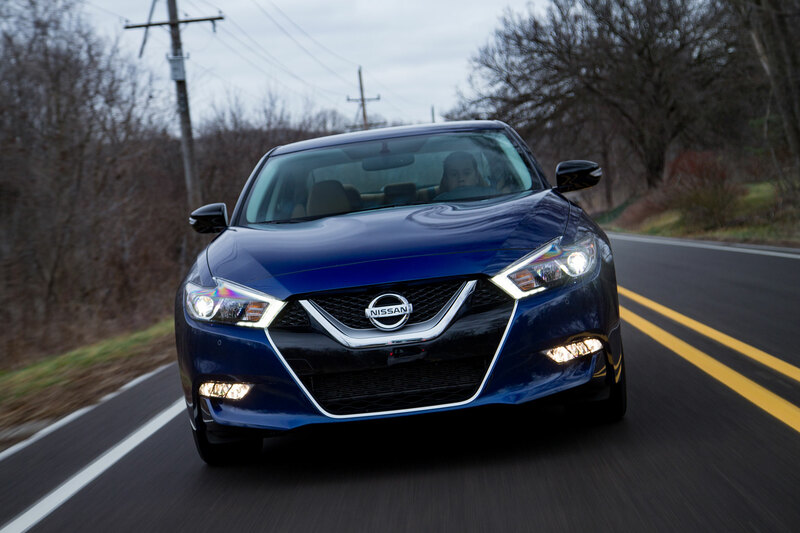 We gave the fourth-generation Maxima and its new, powerful, VQ-series V-6 engine an All-Star award in 1995, but then we started to lose interest as the Maxima softened up and went after Toyota again, this time the Avalon luxo-barge. 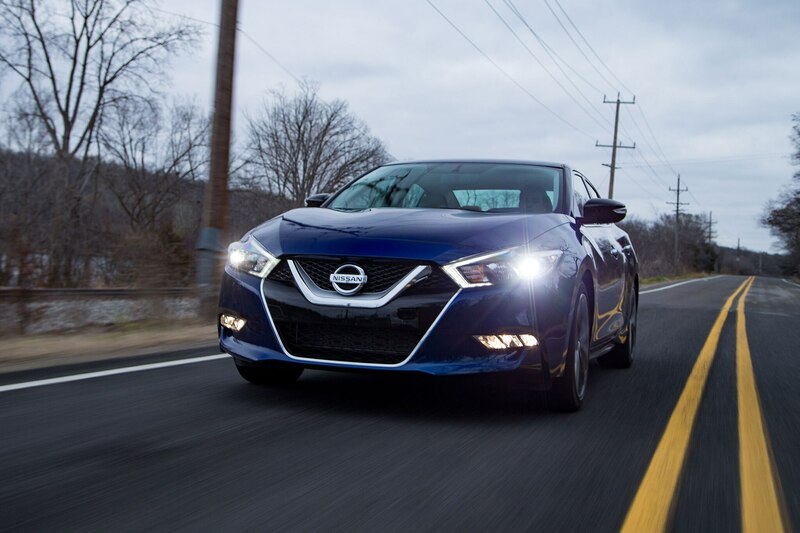 A bigger yet sportier Nissan Altima arrived in 2003, and suddenly the Altima-based Maxima was stuck chasing its cooler little brother. 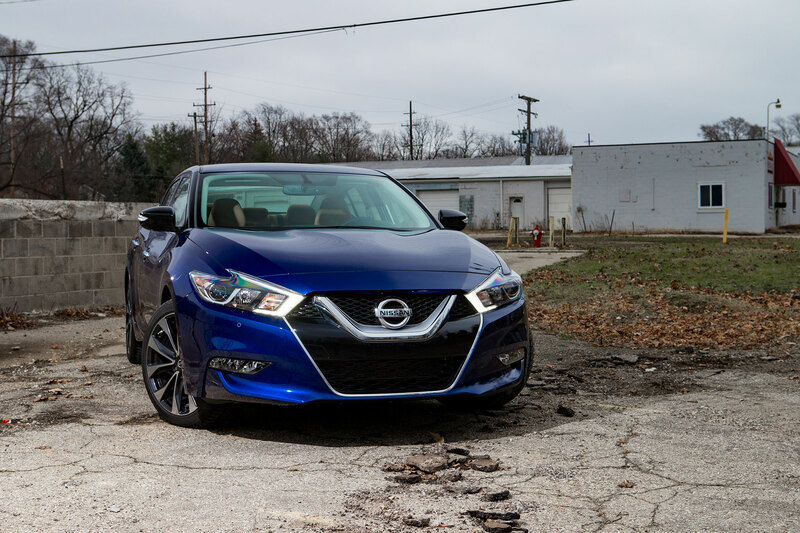 But after a few years languishing in the Altima’s shadow, the eighth-generation 2016 Nissan Maxima is now ready to prove itself once again. 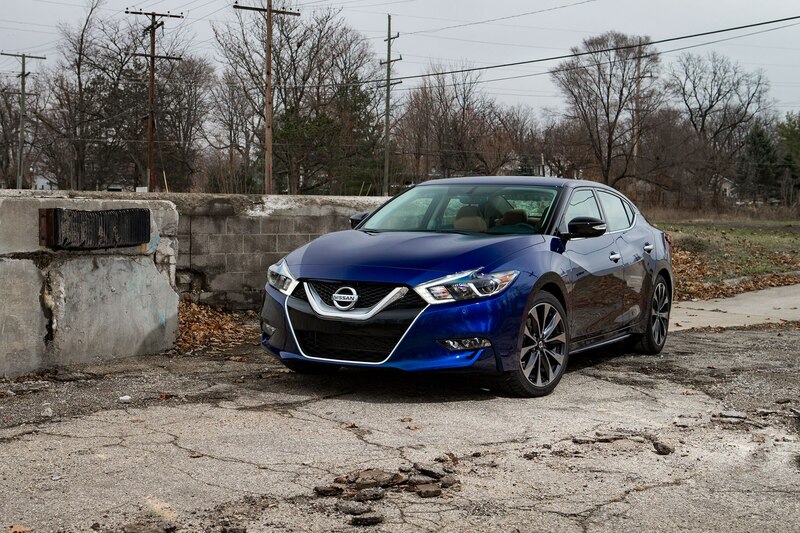 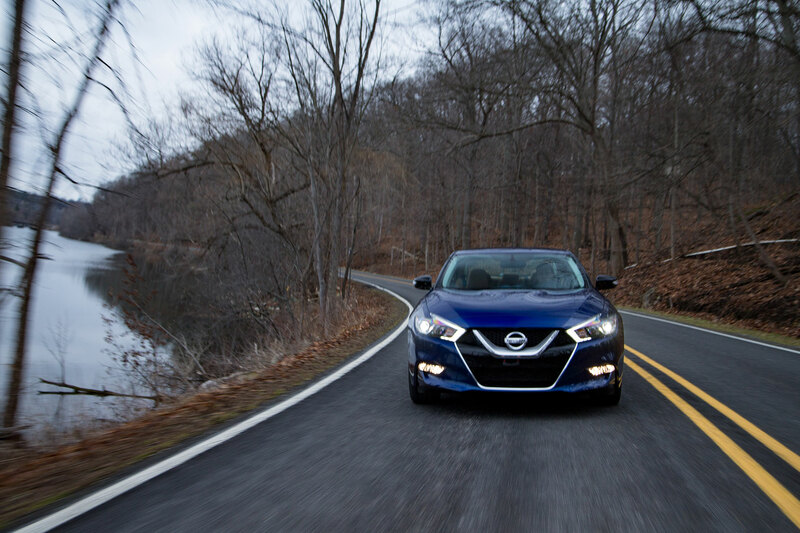 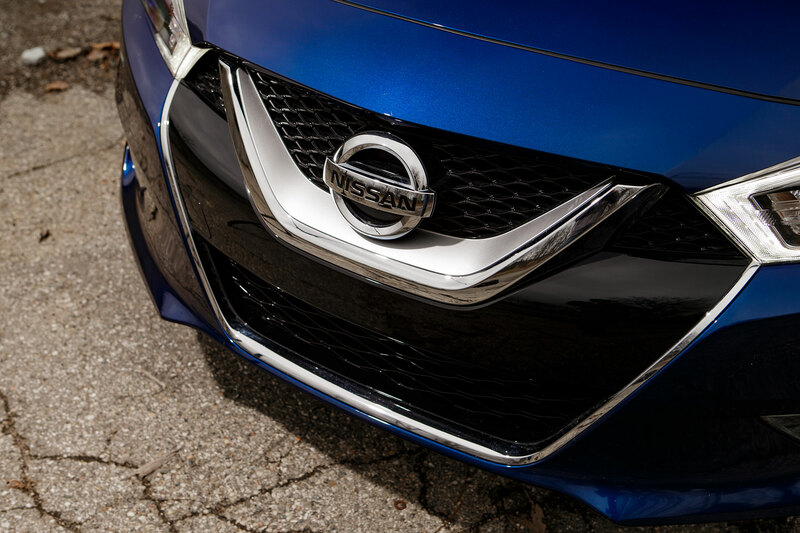 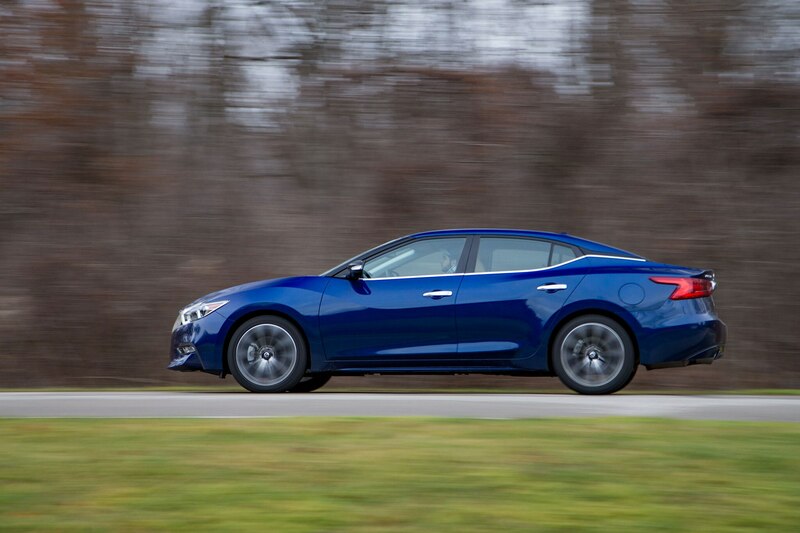 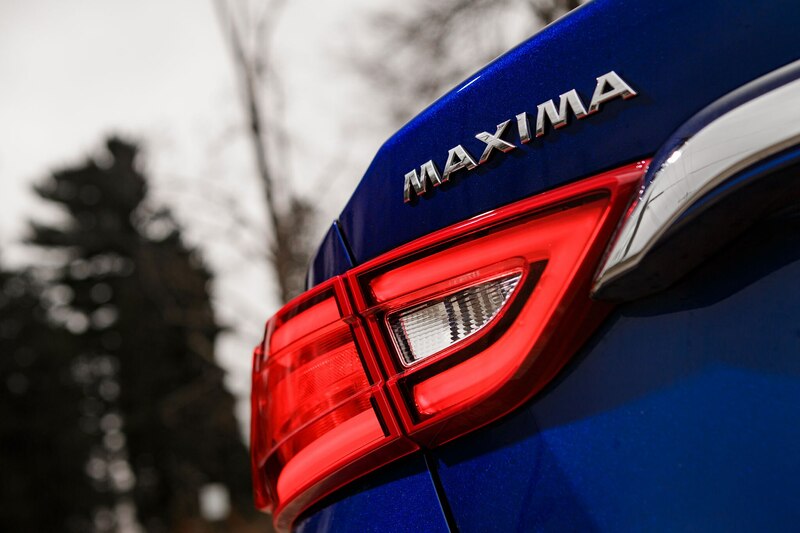 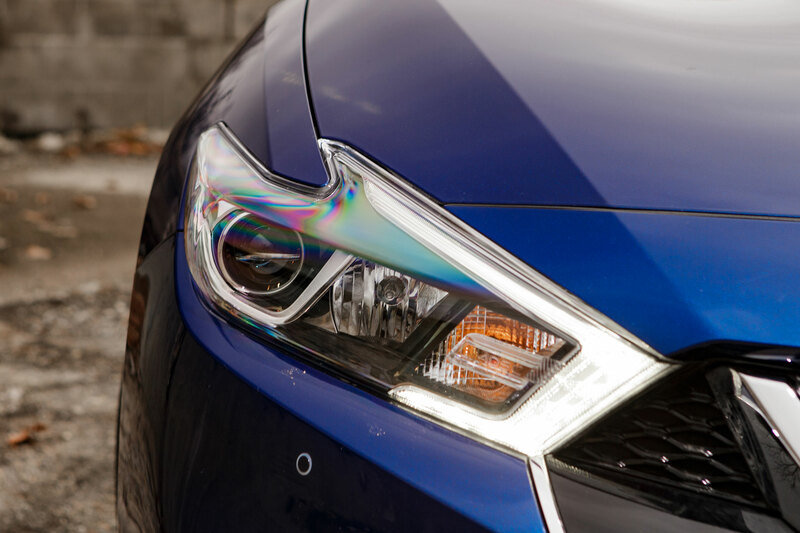 Its wild exterior design is the most convincing sign that the newest Maxima is more than just an Altima with attitude. 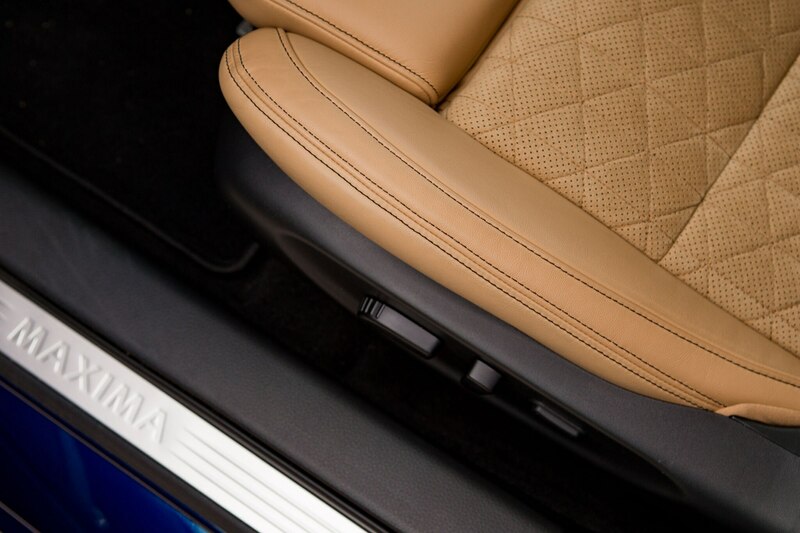 Like much of designer Shiro Nakamura’s work, it’s defiantly Japanese. 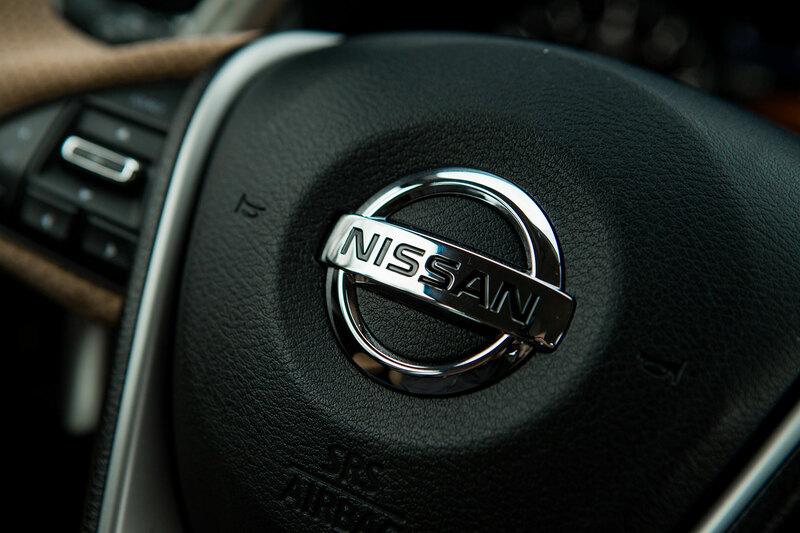 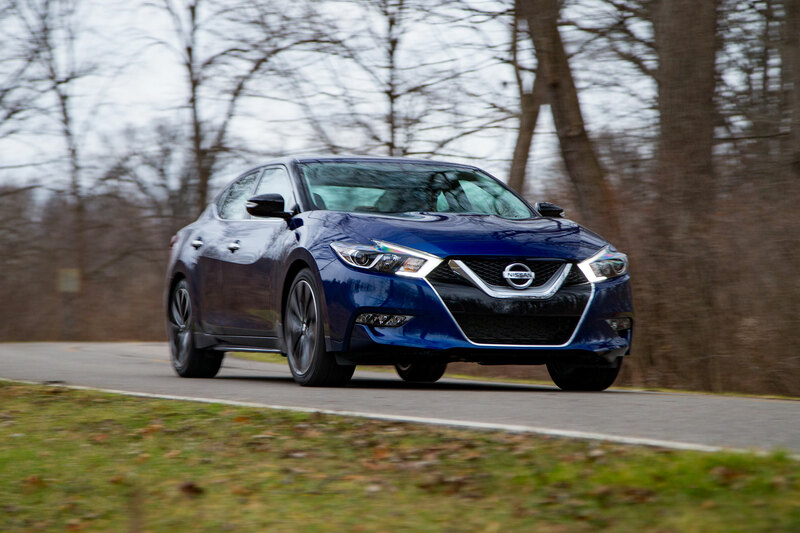 Though the florid fender forms and angry angles of the greenhouse won’t please everyone, we’re glad to see this Nissan sedan take more risks in its bid to become a flagship for the model line. 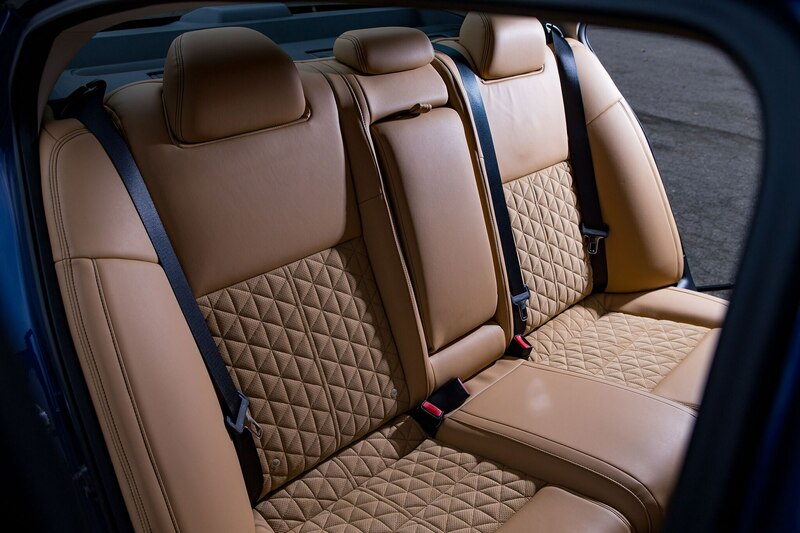 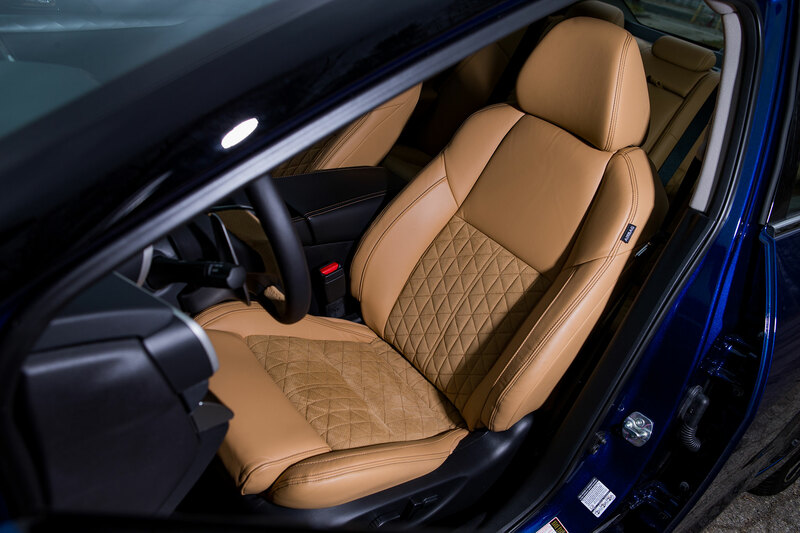 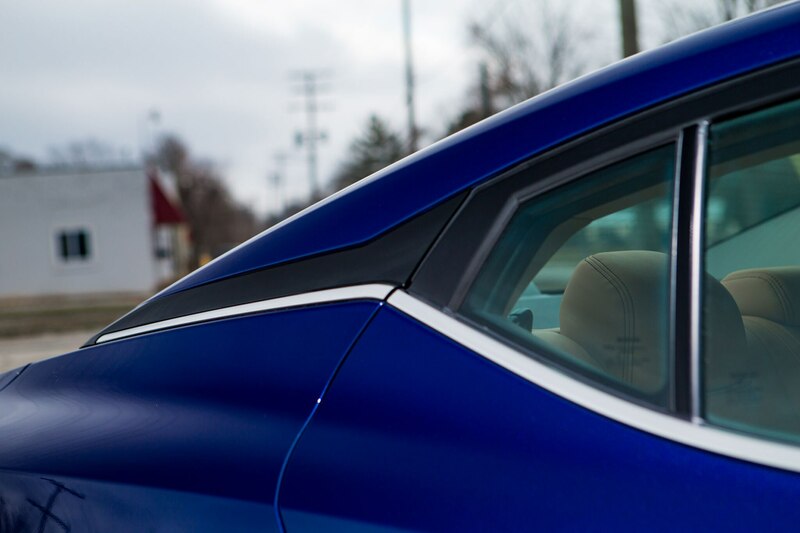 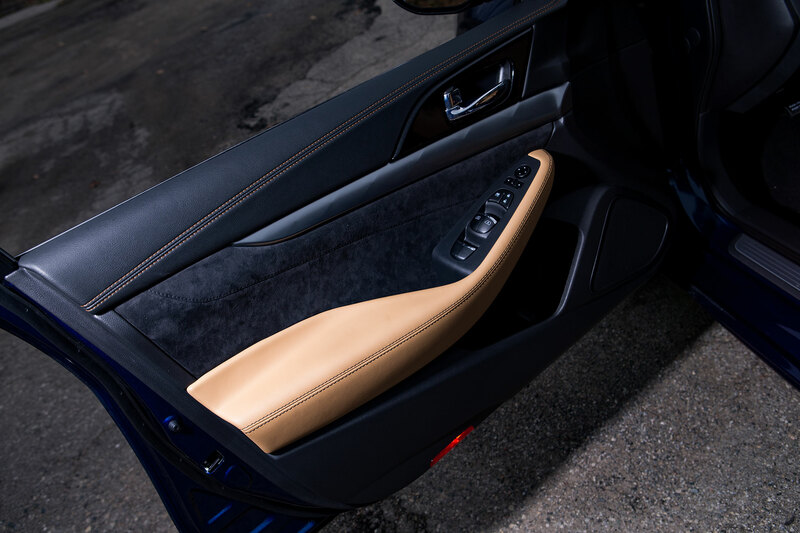 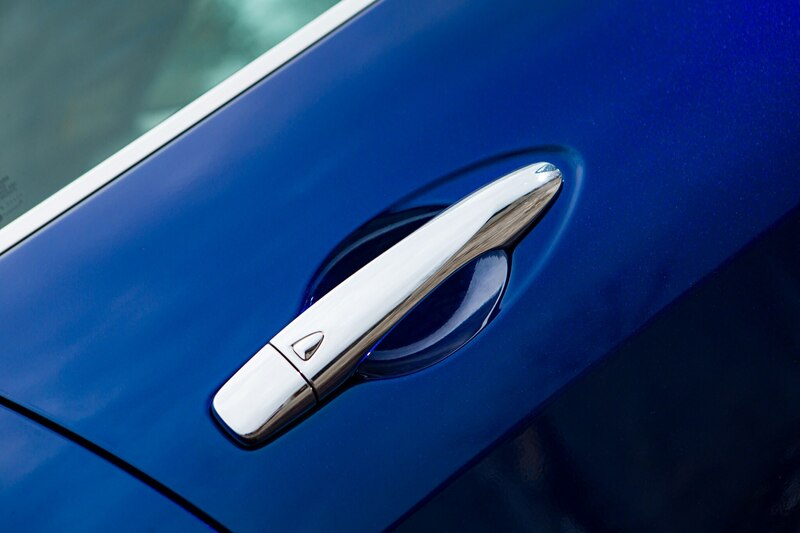 Our car is trimmed in striking Deep Blue Pearl (a color shared with the Nissan GT-R supercar), which contrasts nicely with the Camel leather interior. 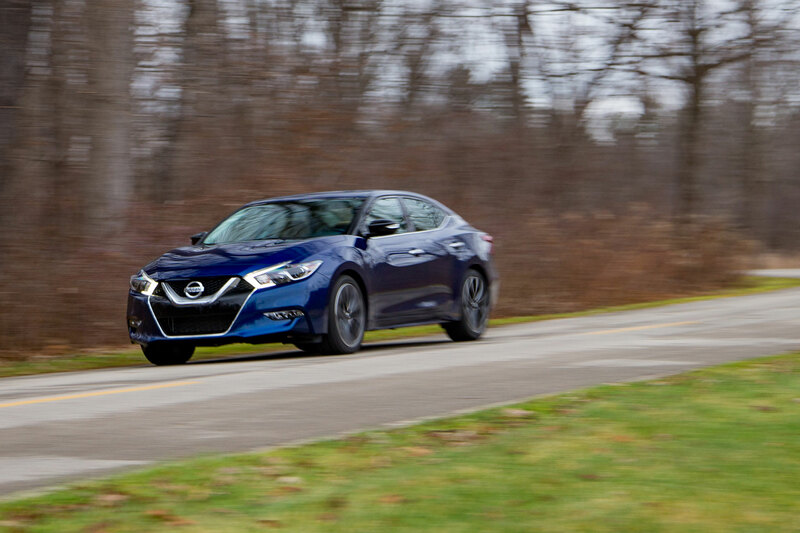 The Maxima prides itself on being sharper and more aggressive than the average mainstream sedan, so we opted for the sporty SR trim. 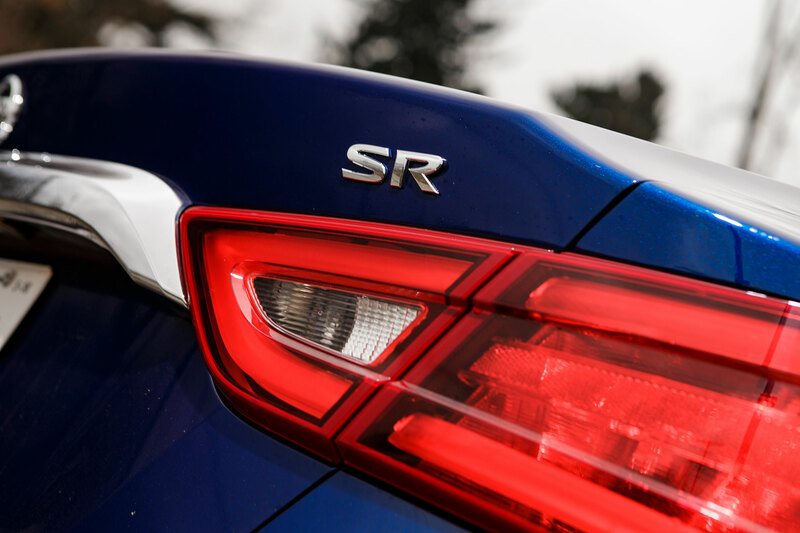 It has the same 300-hp 3.5-liter V-6 and continuously variable transmission that all 2016 Maximas share, but with stiffer suspension tuning, Alcantara interior trim, and upgraded wheels and tires, the SR promises to be more than just a tape-and-paint appearance package. 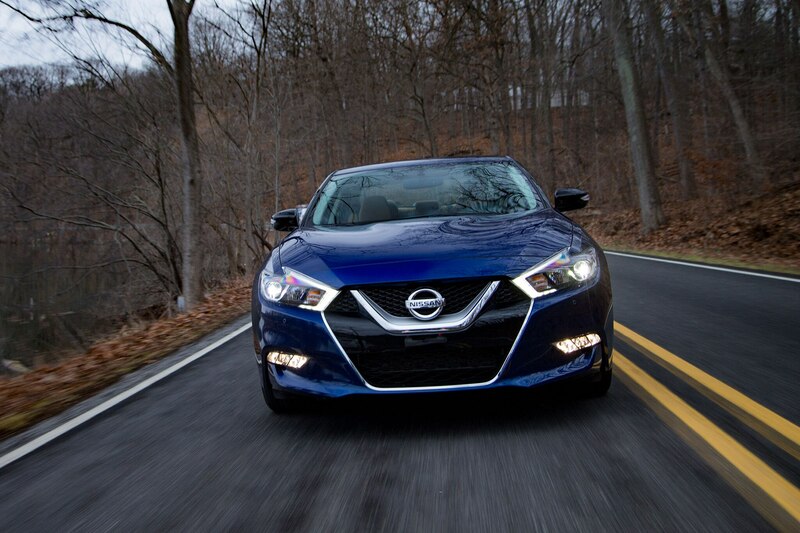 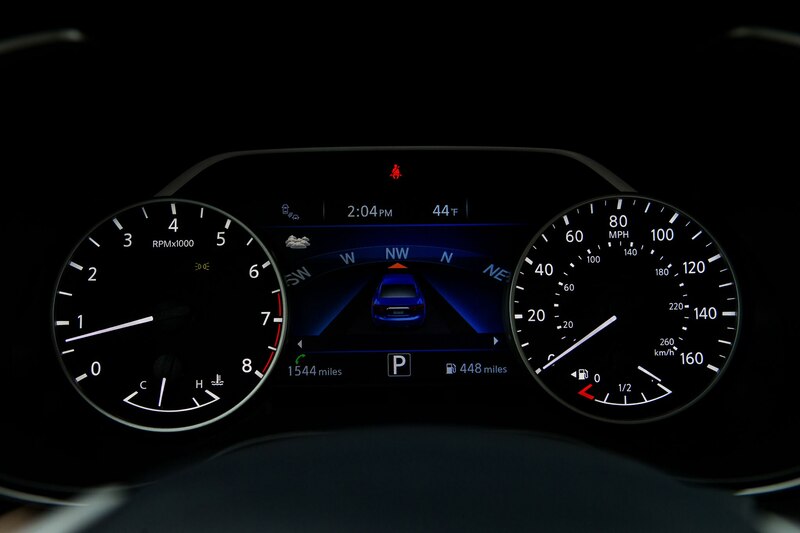 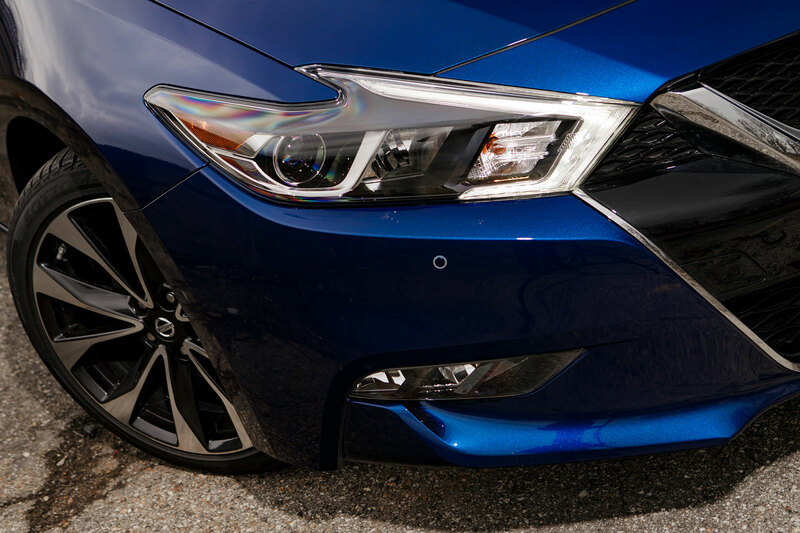 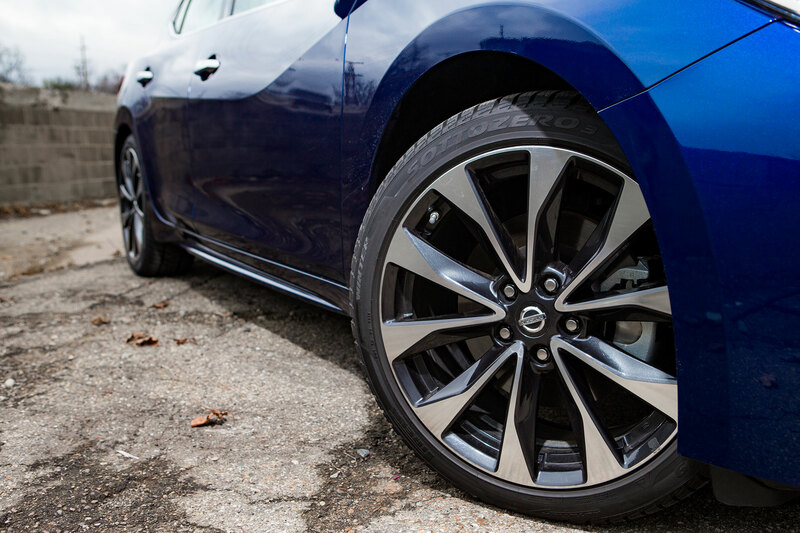 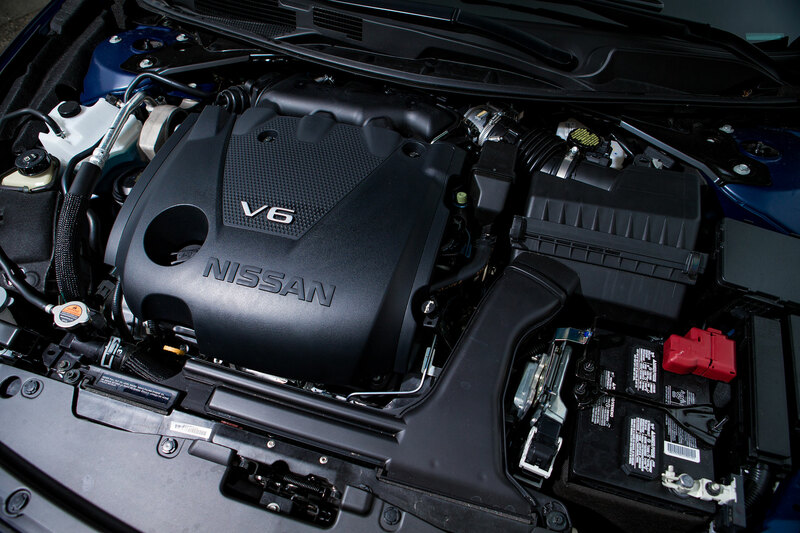 The 2016 Maxima SR comes with a whole host of standard features. 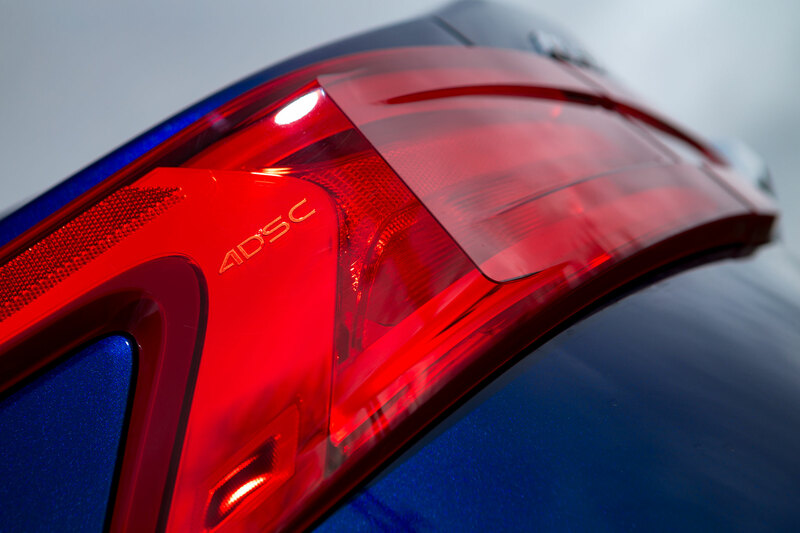 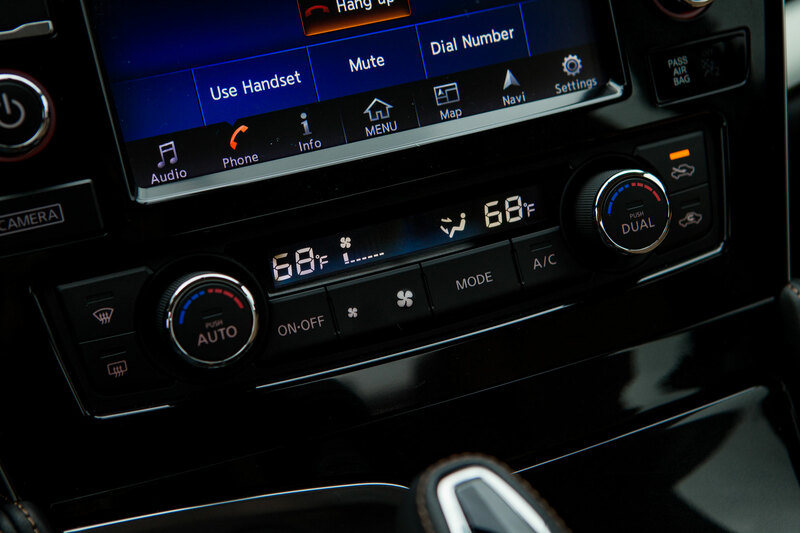 Adaptive cruise control, blind-spot warning, and forward collision warning round out the active-safety suite, while heated front seats, a heated steering wheel, and remote start will surely be much appreciated during the cold Michigan winter. 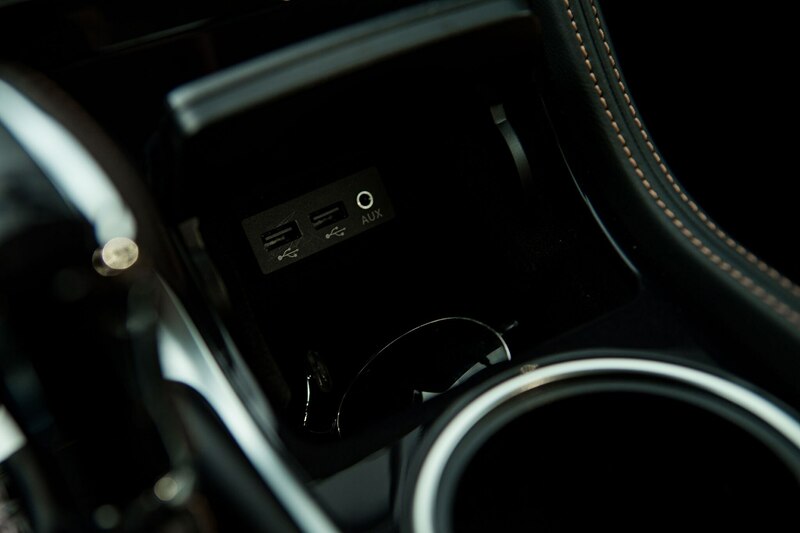 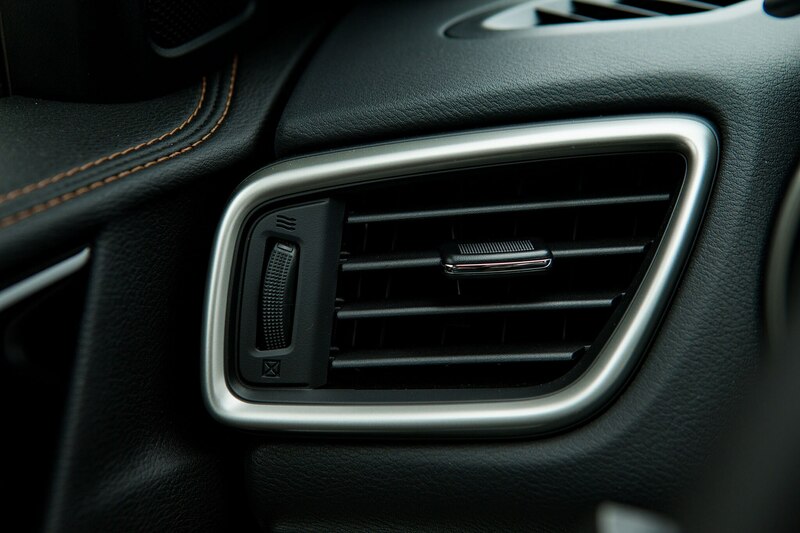 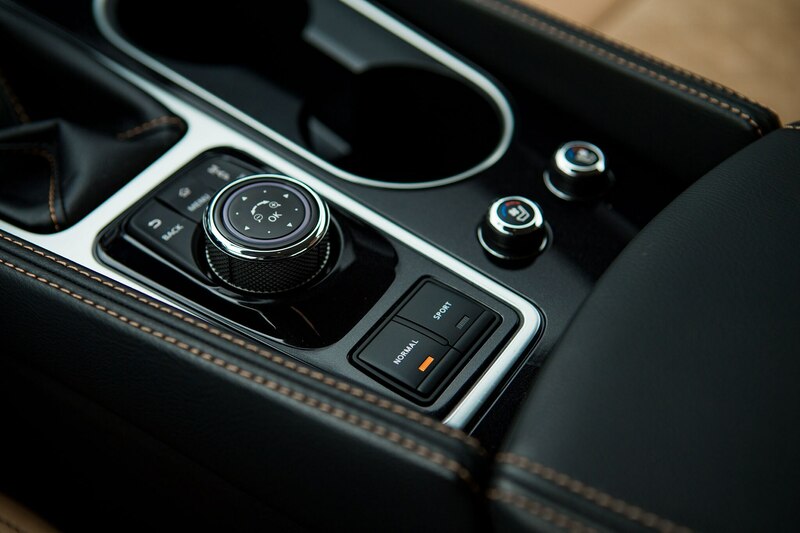 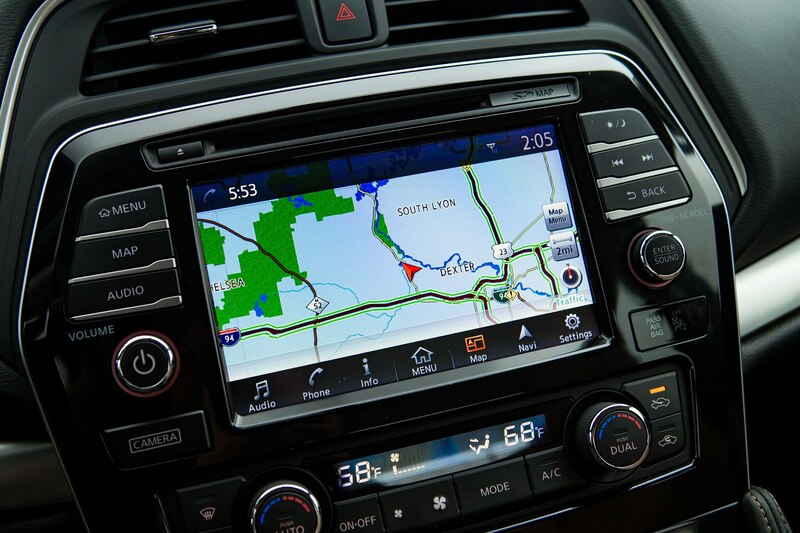 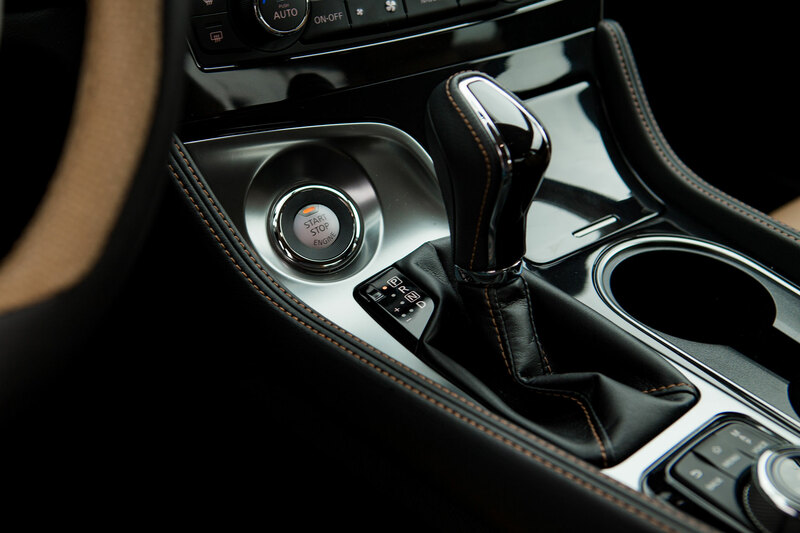 We also have navigation, satellite radio, Bluetooth, and the NissanConnect app support functions to stay connected with the world around us. 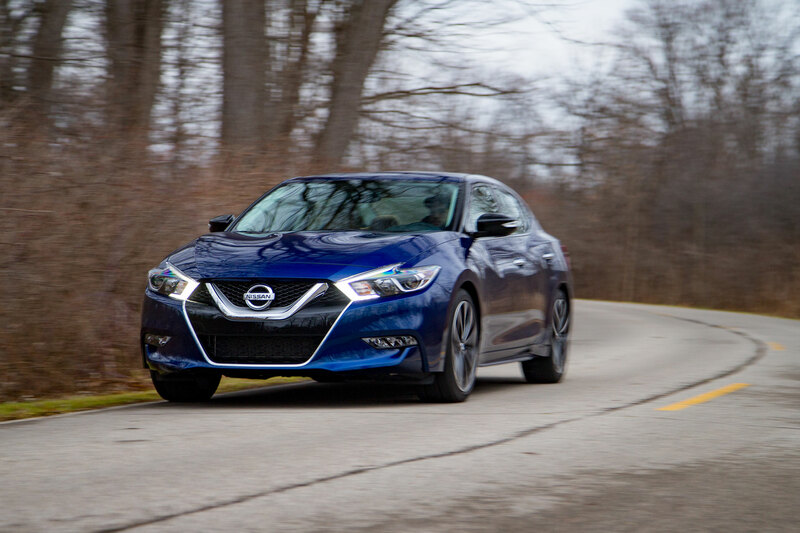 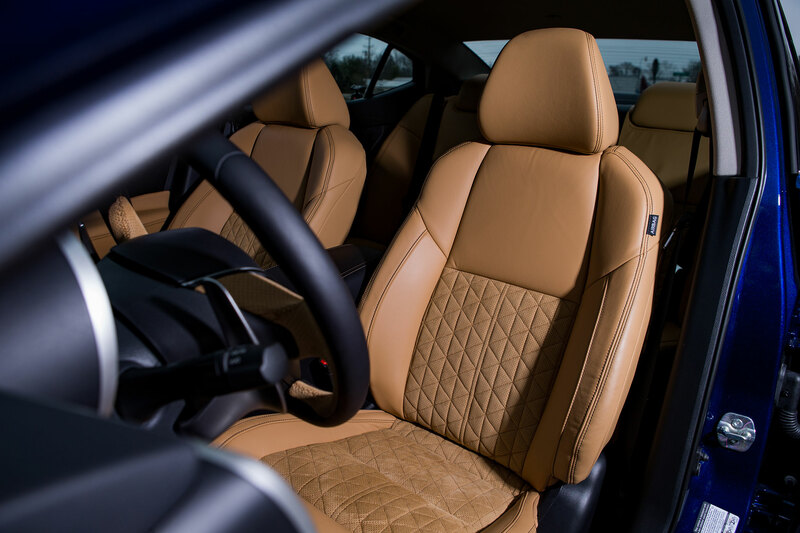 No factory options are offered, though we added a set of floor mats ($255), so the grand total for our test car comes to $38,750 with destination. 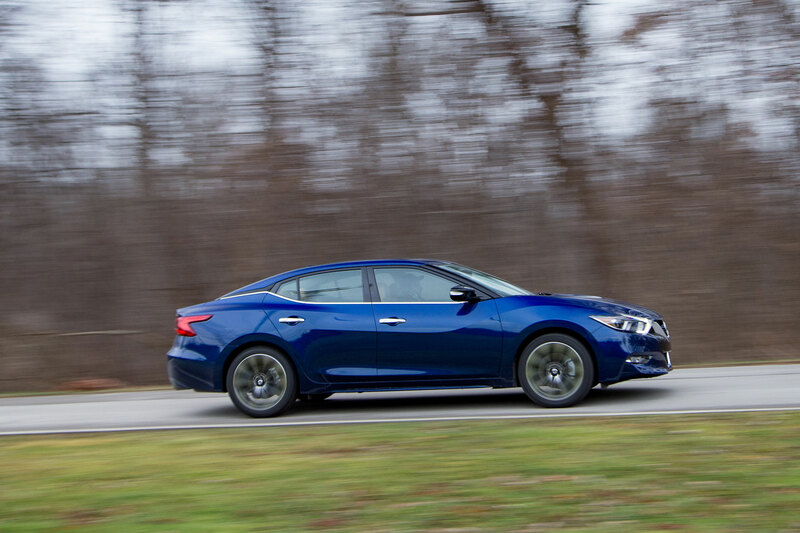 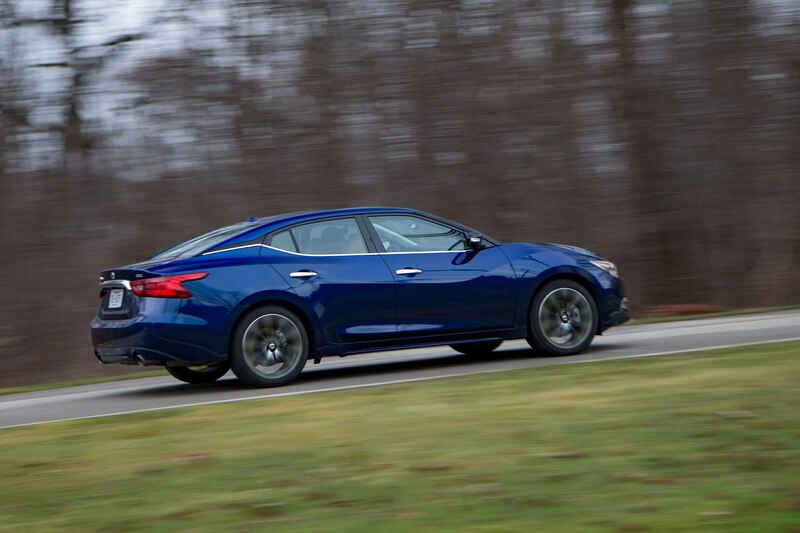 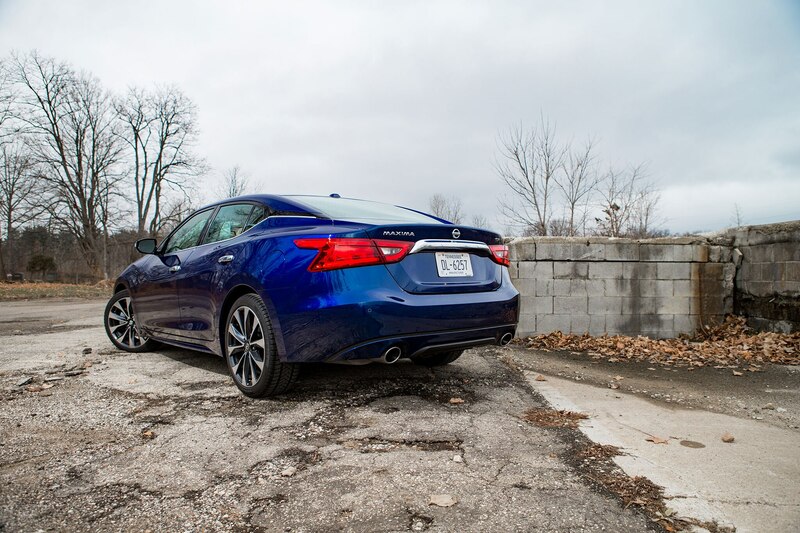 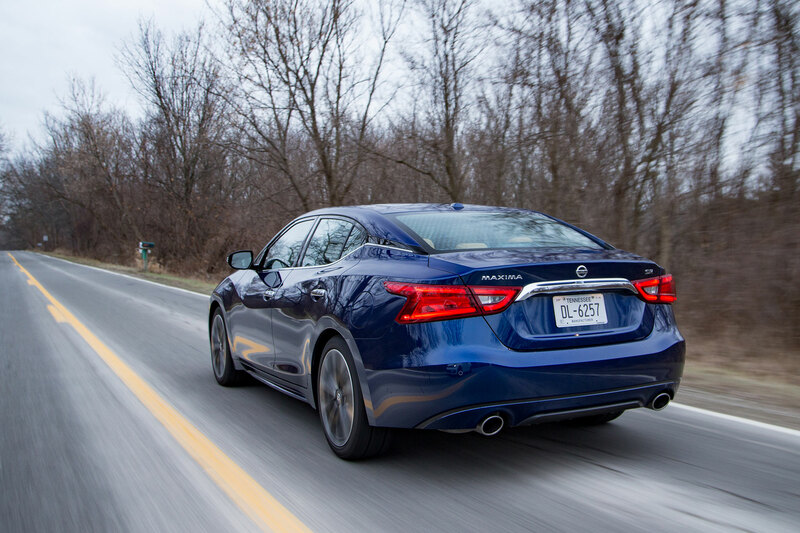 As ever, the 2016 Maxima’s price point pushes into premium territory without straying into full-blown luxury. 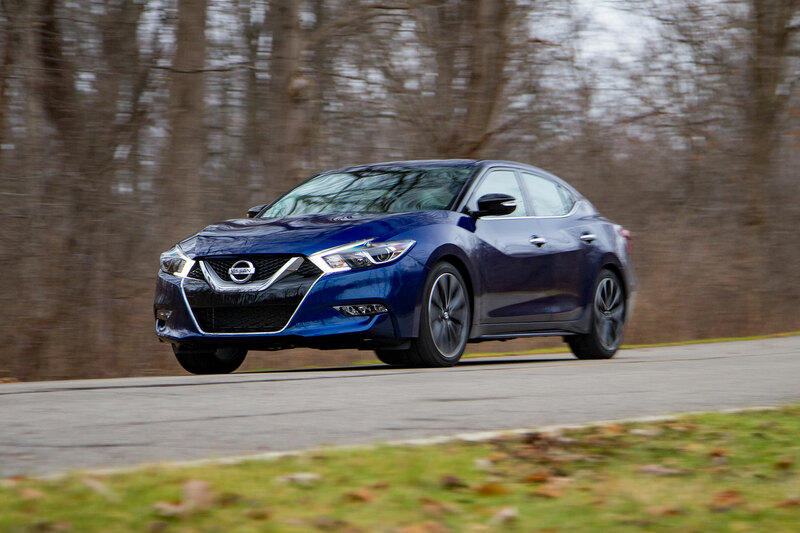 But can this car finally get over its Altima inferiority complex and blend performance and style in a way that will let it chase after cars like the Acura TLX and Lincoln MKZ? 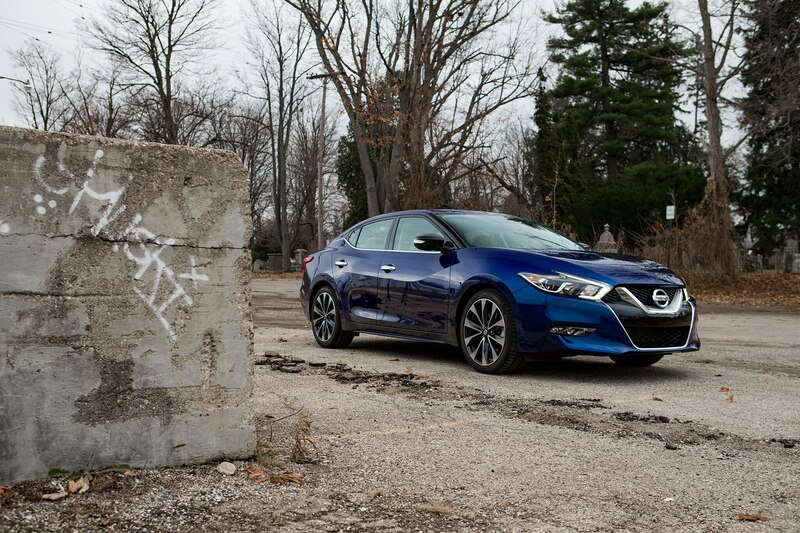 We’ll have a whole year to find out if it can hit the mark.